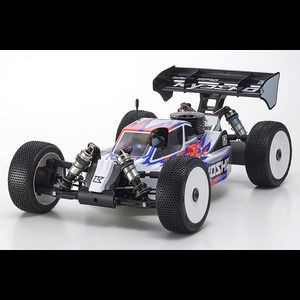 Optimal weight distribution and superior aerodynamics are just two of the many new features designed to produce the best performing 1:8 buggy in the world, "Called the MP10". 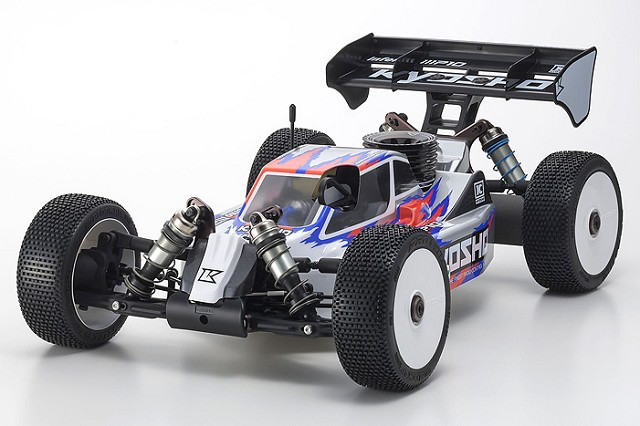 Redesigned Chassis Features: Weight distribution has been thoroughly tested and revised to deliver optimum steering that is highly responsive and predictable, but not to sharp. Width and wheelbase have been optimized to deliver exceptional performance characteristics on various types of circuits and surfaces. Weight layout distribution maintains effective steering control with firm front grip, whether you are accelerating or not. Handling ability is further increased through optimization of the ackerman ratio. A new reversible steering plate enables eight different settings to match the specific racing surface. Tie rods deliver a increase in the lock-to-lock steering travel. The design of the new reinforced tie rod ends does not interfere with the inside of the wheel when steering is a maximum angle.